Academy Awards Live Broadcast To Include Categories After Outcry In its latest reversal, the Academy Awards restores four awards to its live broadcast. It had tried to shorten the program by handing them out during commercial breaks. 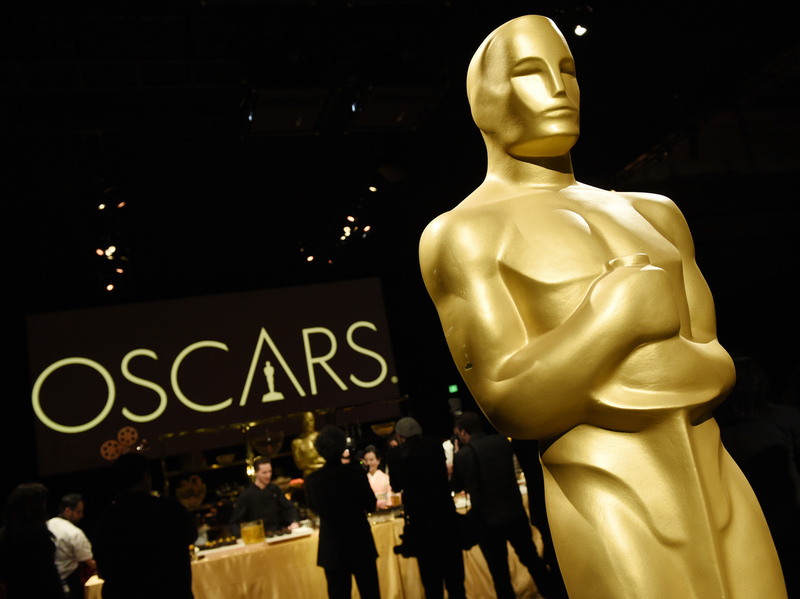 An Oscar statue is pictured at the press preview for the 91st Academy Awards Governors Ball in Los Angeles. The Academy of Motion Picture Arts and Sciences announced that its February 24 live broadcast of the Oscars will include four cinematography awards, reversing a decision to present them during commercial breaks. Television viewers of the 91st Academy Awards will see presenters open the envelopes, and winners make their way to the stage and give speeches for best cinematography, film editing, live action short, and makeup and hairstyling. The plan to shift those awards categories into commercial breaks, first announced in August, was intended to shorten the often over-long broadcast event. "The Academy has heard the feedback from its membership regarding the Oscar presentation of four awards," the organization said in a statement issued Friday. "All Academy Awards will be presented without edits, in our traditional format. We look forward to Oscar Sunday, February 24." The announcement came after an outcry by some of Hollywood's heaviest hitters, including BlacKkKlansman director Spike Lee and Roma director Alfonso Cuarón. In an open letter to the Academy, hundreds of cinematographers, directors and actors, including Martin Scorcese, Ethan and Joel Coen, and George Clooney wrote that the decision to curtail the telecast "is nothing less than an insult to those of us who have devoted our lives and passions to our chosen profession." "When the recognition of those responsible for the creation of outstanding cinema is being diminished by the very institution whose purpose it is to protect it, then we are no longer upholding the spirit of the Academy's promise to celebrate film as a collaborative art form," the letter added. That message was underscored in a Thursday night meeting between the academy's top leadership and prominent members of the cinematography community who urged the academy to include the four awards in the live broadcast. The Academy's reversal is the latest backpedal connected with this year's Oscars ceremony. In September, the Academy dropped a plan to create a new award for blockbuster movies or "best popular film," a proposal critics said would diminish the impact of the awards. In December, comedian Kevin Hart stepped down as host of the Oscars ceremony after his homophobic and sexist tweets surfaced, leaving the event without a host for the first time since 1989. Acknowledging the fluid awards program planning, the Academy tweeted Friday, "Nine days until the showtime, still tweaking the script."